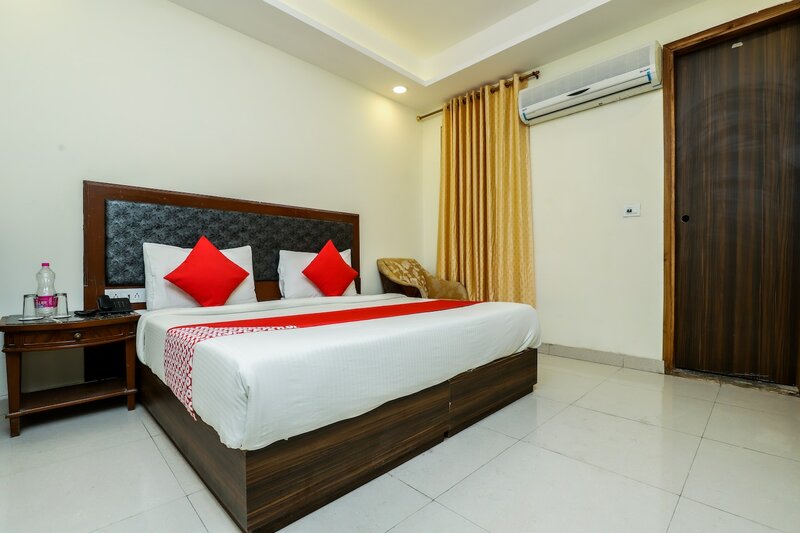 Hotel Mountain Ash is a conveniently located hotel located in A Block in Mahipalpur in South Delhi. Places of interest near the hotel include IGI Airport, Aerocity, Ambience Mall, Shiv Murthi, and Rose Garden. The rooms are spacious and fitted with modern furnishings. The walls are painted in warm pastel shades and the false ceiling lights illuminate the room. Rooms come equipped with AC, TV, Free Wi-Fi, and geyser. Other amenities offered by the hotel include power backup, parking facility, laundry, and elevator. Popular restaurants in the vicinity of the hotel include Royal Inn, Resto 37, Indian Hotel & Restaurant, Burger Wala, and Clash Of Pans.